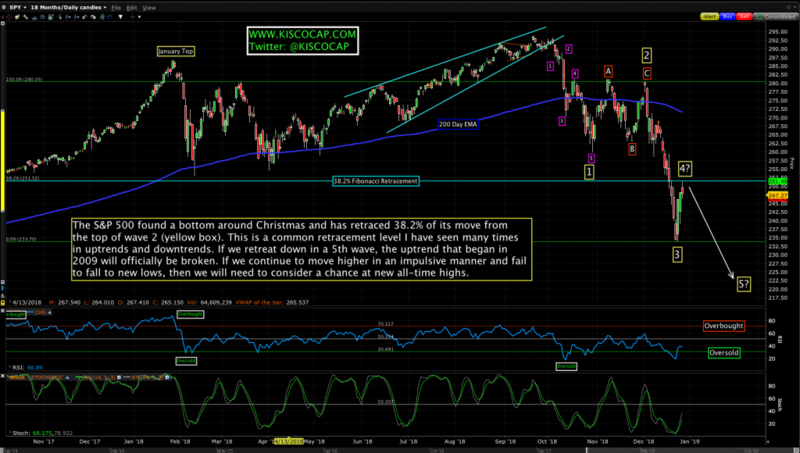 The stock market found a place to bottom this week – no real news event happened just an exhaustion point for sellers. What happens next with the chart patterns will be significant as one more new low will lay the beginnings of a trend change and a bear market for the global stock market. If the S&P 500 index closes above 2,600 then we will have to entertain that this week’s low will likely hold and that new all-time highs are in store for 2019. However, in either scenario the seeds are being sown for a rough year in the credit markets as high yield debt has ballooned (see below) and the Fed’s policies will hurt the new issuance calendar. The fundamental catalyst for new highs is likely a trade deal with China but the early look is that the results for any negotiations are weeks away (at best). The technicals are the best analytical tool right now as the fundamental and macro cross-currents between good and bad are running deep right now. For 2019, interest rates, currency differentials and central bank policies will whip the market into higher levels of volatility. Investors will have to live with this new fact of life as Father Time will denote 2018 as the death of low volatility. 2019 is born on Tuesday. The new Congress is sworn in on Thursday. Jerome Powell speaks on Friday. 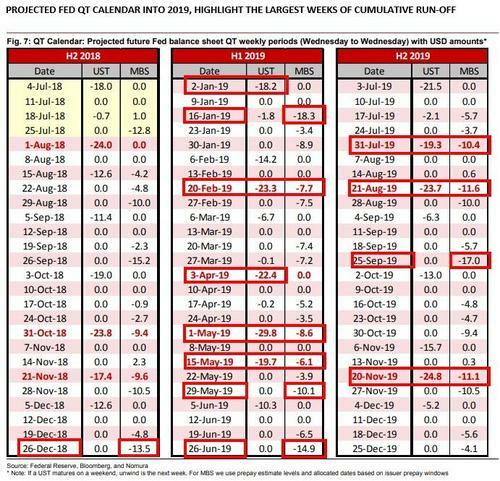 As the Fed reduces their balance sheet in 2019, some dates will matter more than others. The chart below shows when large amounts of Treasuries and Mortgage Backed Securities will roll off the Fed’s balance sheet. These numbers are in the billions and it looks like May 1st is the big winner. The reduction in their balance sheet is likely to increase volatility in risk assets (stocks and high-yield bonds). Japan’s Nikkei fell on its final trading day of the year, leading to its first annual loss in seven years. The benchmark index booked a 12.1% decline in 2018, breaking the longest winning streak since the late 1980s. Japan’s 10-year bond yield also fell overnight below zero for the first time since September 2017, as a recent equity selloff fueled a rally in government debt around the world. For China’s stock investors and forecasters, 2018 has been a gloomy year marked by unwelcoming milestones. 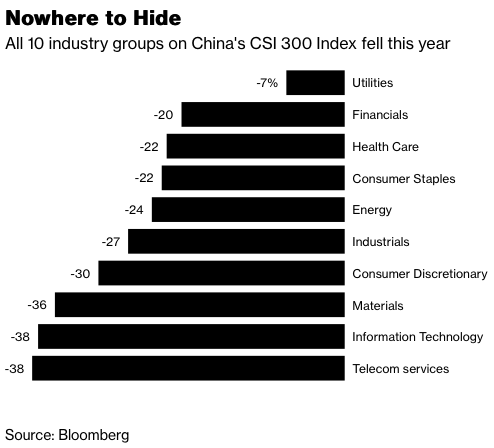 The benchmark Shanghai Composite Index is 25% below where it started 2018, making it the worst-performing major stock market in the world. The breakout of a trade war between the U.S. and China has wiped out $2.4 trillion this year, while a deleveraging drive has squeezed margin debt to just one-third of its peak in 2015. 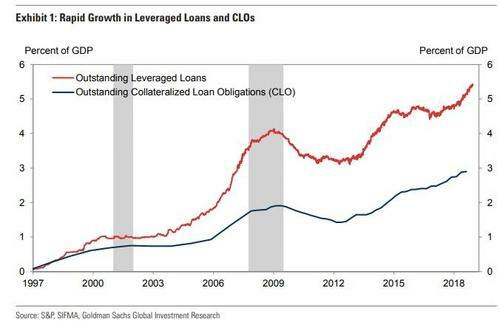 Leveraged loans and CLOs have grown tremendously as a percentage of GDP over the last 20 years. However, credit quality has declined significantly which means lenders may have historically low recoveries in the next credit cycle. Weaker covenants and loose underwriting are undoubtedly the byproduct of the Fed’s ultra loose monetary policy. 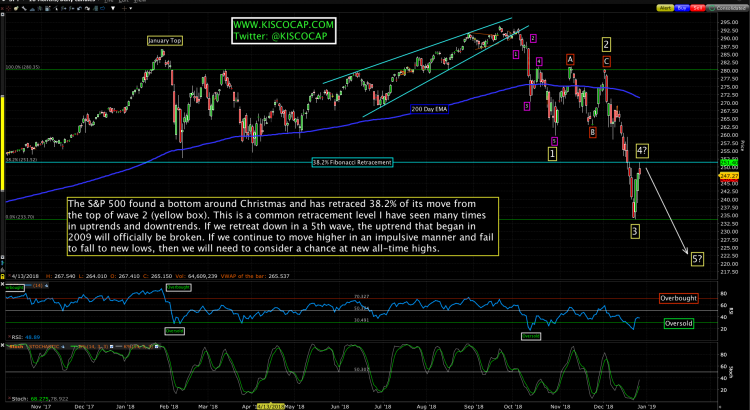 That is all for now until next week’s Market Update and HAPPY NEW YEAR!